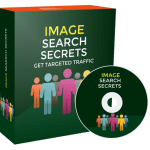 In This PLR Report You’ll Making Money from Hobbies Report With Private Label Rights To Help You Dominate the Hobbies Market Which Is A Highly Profitable And In-demand Niche. The Making Money from Hobbies PLR Report contents is available in Text file format and can be downloaded instantly after purchase. 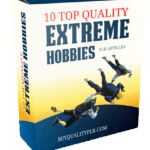 What Can You Do Making Money from Hobbies PLR? If your hobby appeals toa wide audience, statistically speaking, you are more likely to attract potential customers.Find out how many people need and want the items you offer.This is the key to deciding if you want to turn the hobby into a full-fledged business or even a part-time business. The bottom line is that if only a few people are looking for products like yours, a business may not ultimately meet your ongoing economic needs. A lot of hobbies involve creating a physical product that someone will buy. Hobbies like baking, sewing, knitting,and others come to mind. Perhaps you enjoy writing as a hobby. Will someone buy your short stories, books, or poetry? Is something like that selling already? If so, you have more of an opportunity to earn. You can make money from physical products you create, such as jewelry and clothing; however, you are not limited to physical products. You can also sell digital products and services. Digital products can include information products, such as pdf reports, audio, images, and video, just to name a few. You can also offer services such as ghostwriting, web/product design, coaching, and teaching others what you know about your hobby.Not quite what you had in mind? There are more options to consider. Don’t give up on your dream for more income. There are many ways to share your knowledge and experiences, while making money.One of the popular ways doesn’t even involve creating a product or service to sell.However, you will need to do some creative thinking; but you can handle that. Instead of rushing to make a new crocheted blanket that you will need to sell and deliver, recommend the instructions you used by supplying an affiliate link to them, as well as related items such as yarn, crochet hooks, row counters, project and yarn organizers, etc. If flyingmodel airplanes is your hobby, instead of selling planes, consider selling parts, tools, and other supplies because these hobbyistsfrequently prefer to build their own planes. In order to identify specific,viable options, for your potential business, you’ll need to do your research. 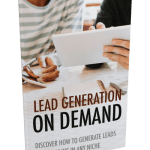 Among other things, you’ll want to find out the details about your target audience, including their demographics, wants, needs, and problems. In addition, you’ll also want to learn more about the industry (the hobby/business category) and the marketplace competition you’ll have. This may sound like a lot but the more you know, the more likely your business will be to meet your needs and your customers’ needs. One of the best ways to find the information you need is to use Google Search.You’ll want to look for stats about your industry, your target market, and popularproductsor services that are currently available. Knowing the numbers related to your hobby and the corresponding business industry will help you make sound choices and decisions.Highly detailed stats regarding your market’s spending levels and other preferences will help you figuring out how many people you’ll need to reach and convert on a regular basis to earn the kind of income you want. How Are Others Making Money From the Hobby? Find out if you can make money from your hobby by checking out how many competitors there are, what they are doing,and what they offer. Find out what their best selling items are. Research complaints and suggestions related to products you are interested in selling.When you find a loophole or gap where a need isn’t being met, plan to create a similar item and enhance it to meet the needs of your audience.In essence, you want to get creative and “build a better mouse-trap,” so to speak. Don’t limit yourself to looking only at the hobby or craft niche you’re in. Identify hobbies and crafts that are similar to your own. For example, if your hobby/craft is crocheting, you’ll also want to look at knitting, macramé, embroidery, quilting, and other “sewing” related hobbies. This can be helpful in giving you crossover ideas. In addition, many hobbyists and crafters have multiple interests. 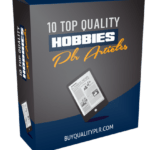 How to Purchase This Making Money from Hobbies PLR Report? 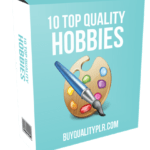 We will only be selling 50 copies on this Making Money from Hobbies PLR report, so don’t waste any time and grab your PLR license while it’s still available for sale.